Pesach desserts usually fall into one of two categories. 1. Desserts that taste like cardboard, or 2. Desserts that taste almost as good as chometz. The problem with the latter is the amount of eggs, sugar and potato starch they take. So, here’s my list of desserts that taste good and let you leave the table still feeling good. Combine all the ingredients in a blender until smooth. Freeze in a 8-in. pan and thaw for at least a half hour before serving. Combine in a blender until smooth. Freeze and thaw for at least a half hour before serving. Preheat oven to 350 degrees. Combine almond flour, baking soda and salt in a bowl. In a separate bowl, cream almond, honey or maple syrup, egg and vanilla. Add almond flour mixture gradually until a dough forms, then fold in chocolate chips. Chill in fridge for 20 minutes. Scoop dough by the tablespoon onto a cookie sheet, spacing cookies at least an inch apart. Bake for 11-12 minutes or until set. Allow cookies to cool on pan for a minute or two before transferring to a cooling rack. Combine all the ingredients in a bowl until smooth. Cut up fresh fruit to dip. Melt the ingredients over low heat in a double boiler. 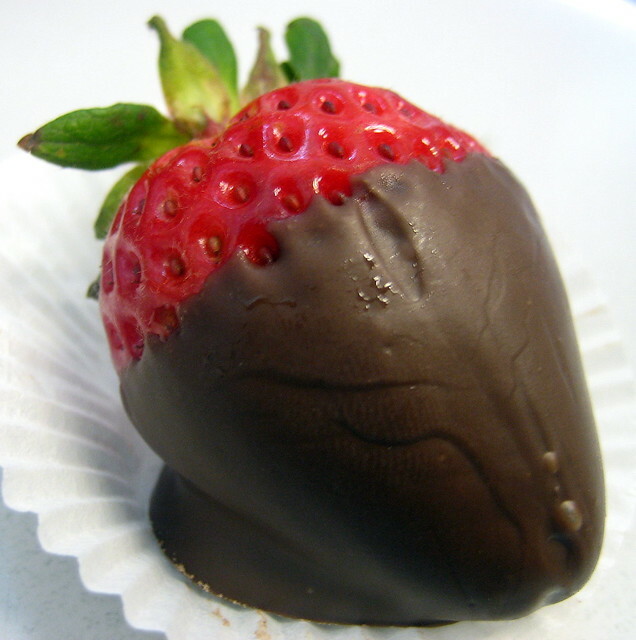 Dip fresh strawberries, bananas or dried fruit in the chocolate and let it dry over wax paper. Store in the fridge. Combine all the ingredients in the food processor and store in the fridge. Just don’t tell your kids (or maybe even your husband) what’s in it. Hey There. I discovered your blog using msn. This is a very well written article. I’ll make sure to bookmark it and come back to learn extra of your helpful information. Thanks for the post. I’ll definitely return. I made the chocolate pudding!!! oh my! So yum! I made a few changes to my taste preferences -added some extra cocoa because it wasn’t chocolaty enough for me – then added in some vanilla extract and orange juice because it got too thick! So YUM! thanks so much Wendy! So I made the strawberry ices – but turned it into an ice cream!! I used some pasteurized all egg white product, one banana, the strawberries and a little honey!! Creamy, refreshing and yummy! for one package of strawberries, I put in one cup of the egg whites, one banana and between 1/4 and 1/3 cup of honey! I didn’t use a food processor, used a hand mixer instead. First whipped up the eggs (even tho they don’t whip so much as they’re pasteurized) added the banana, then strawberries and honey. Freeze!! You’re the best Wendy! Happy Birthday and have a healthy pesach!